MEDICAL COSTS SINCE JULY 2013: $964.45 PLEASE CONSIDER MAKING A DONATION! 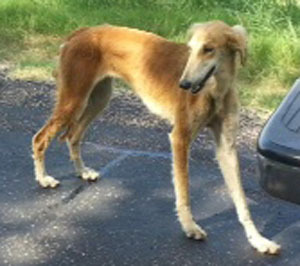 Karma is a young red saluki/greyhound female. Destiny and Karma were found together as strays in Grandview, TX where they were finally caught after being seen hanging around together. 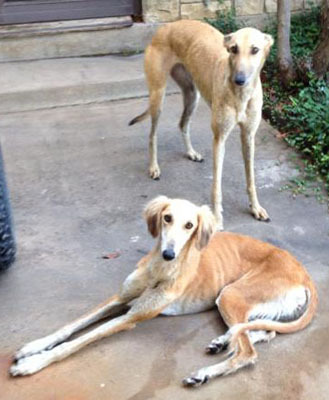 Karma was successfully treated for the tick-borne disease Ehrlichia. She has passed an initial cat test.